A crimson red color, paling rim. Elegant, vibrant and suave on the nose: slightly savory black and red fruit with hints of violet, paprika, spicecake and cigarbox. A touch of game and cedar. Sweetly vegetal; Barb says “white asparagus”. Green bean too. A classically rendered, ’80s style Lalande on the palate, queenly and feline: mulberry, black currant and Asian plum, lightly seasoned with smoke and spice. Claret-y: no one varietal dominant, with a timeless balance that reminds us of the ’85s. An exquisite core of fruit, rich without a hint of fat. “My kind of fruit bomb,” says Barb. Very fine grip. Complex, pure and harmonious. Another “bien dans sa peau” ’88, very much at one with itself. Not cut from the same cloth as the blockbuster Lalandes like ’82 and ’96. 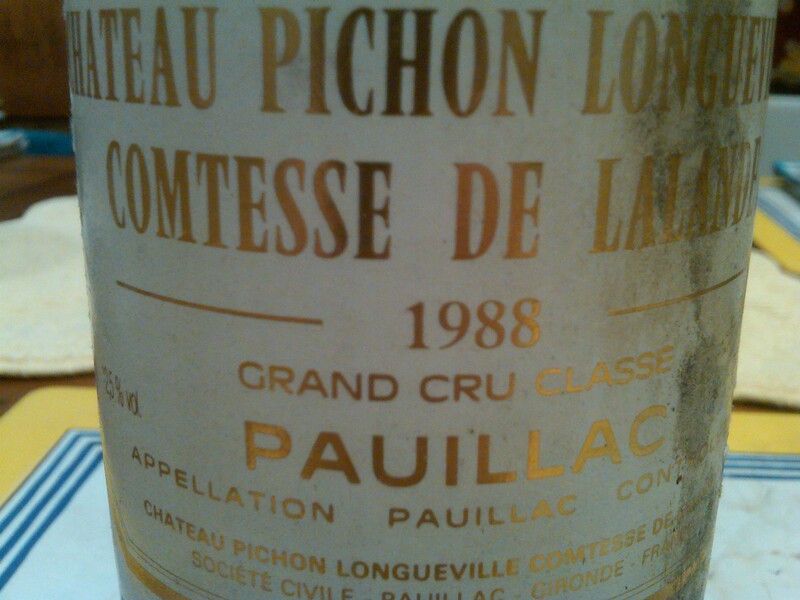 It belongs in its own category, with other Lalandes like ’85, that may offer a bit more insight into this Château’s breed. Now – 2020.